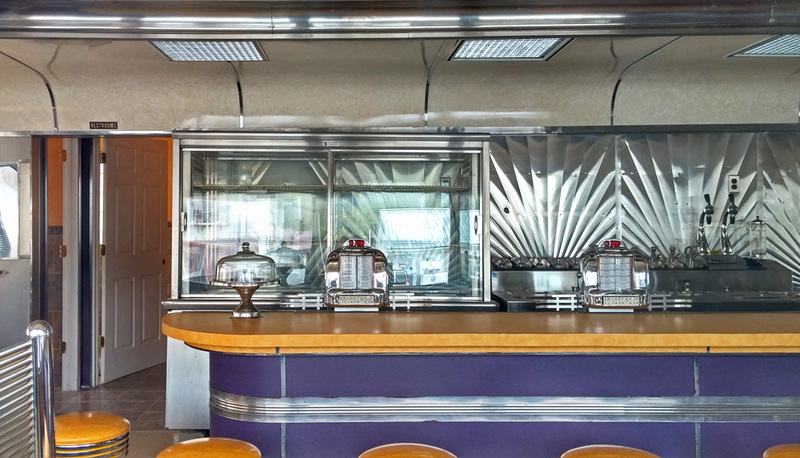 That adorable old-school diner that was for sale in Grand Gorge has found new owners and will be reopened as a restaurant. Unfortunately for Catskills locals who hoped to see it reopen in the Delaware County hamlet someday, however, the diner’s new owners plan to relocate it to the Hudson Valley town of Germantown, across the river in Columbia County. Lueck and her husband Mike purchased the classic Fodero Dining Car, along with the half-acre property it currently occupies, for $135,000 last month, according to Delaware County land records. The diner will be the second restaurant for the Luecks, who have owned and operated Charlie O’s Hometown Bar and Grill in their hometown of Red Hook since 2010. A popular casual restaurant, Charlie O’s sources a lot of its ingredients locally and is known for its family-friendly atmosphere and German-style specialties, according to a profile by the Daily Freeman. The Luecks plan to move the 1950s-era diner to a vacant property they own along Route 9G just north of the village of Germantown, pending approvals from town authorities, Vicki Lueck said. The diner was rescued from a field in Gilboa in 2008 and moved to its current location at the junction of Route 23 and Route 30 just north of Roxbury, according to NY Diners. A few years later, public records show, it was purchased by Frank Pizzicarola, a general contractor on Long Island with a weekend house nearby. Over several years of weekends, Pizzicarola painstakingly and lovingly refurbished it, restoring original details and installing mini jukeboxes, but he died before reopening it for business. The Grand Gorge property, at 37177 Route 23, will go back on the market after the diner is relocated, Vicki Lueck said. Cool that something will happen with that diner, and all the hard restoration work will eventually be enjoyed by actual diners!